From Studio Bell to hot spot eateries, from urban plazas to the library, there’s always something happening somewhere in East Village. We’ve rounded up our top picks of this week’s events, programs, classes and more. Don’t forget to check the calendars of our community partners for other goings-on in the neighbourhood! More home games = more Hockey Happy Hours at the King Eddy! Kick off another game with Erin Ross & The Rhythm Method, just minutes from the Dome. Looking to add a little ‘rustic-chic’ to your home? Head over to Raw Canvas to create your own custom wood sign. All you need to bring is your creativity and personality – Raw Canvas will provide the education, materials and fun! Join Kelly Lynch (CPCC, CNTC) and Shirley Wright (BMus, BEd) for an afternoon of learning about music and the brain. They'll explore how to wire your brain for empathy, patience, and productivity, and round it all off with a cello performance. Join Richard Rondeau for an amazing and astounding magic show. 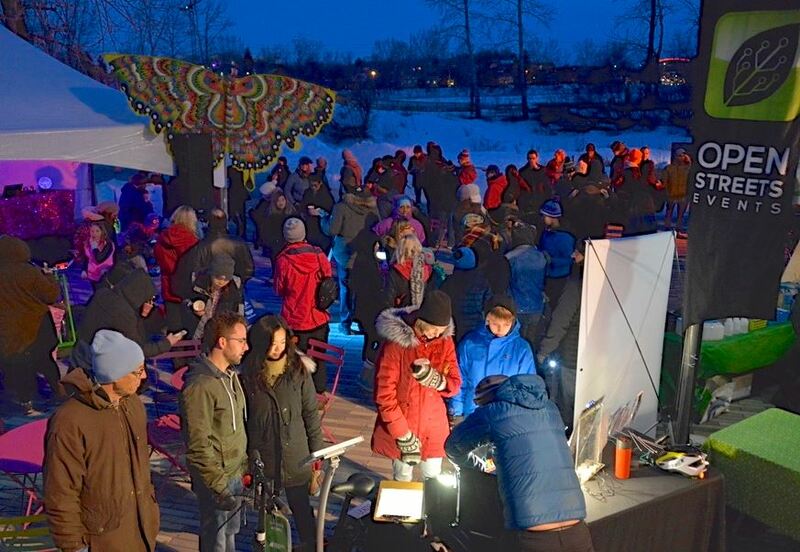 Head over to St. Patrick’s Island this weekend to celebrate Earth Hour with the whole family! Unplug from your devices to join in on all the fun, like a DJ dance party, fire pits and games galore. For the older crowd, there will be brewery tours leaving by foot and by bike to celebrate Mother Earth with a cold one! Play chess supported by coaching from the Calgary Chess/Junior Chess Clubs. Children under 12 must be with a parent or caregiver. It’s true, making really exceptional coffee takes time, commitment and training, but that doesn’t mean you can’t do it yourself at home! Explore three coffee brewing methods (french press, AeroPress and pour-over) at this class inside the historic Simmons Building. Learn about the effect of grind, dose and temperature on the taste of your brewed coffee.